Johann Rudolph Jüngerhans (born 1834) was one of the first famous sailors of Haren. He owned the sailing vessel "CHRISTINE ENGELINE", hat the "VIRGO MARIA" built in 1863, and in 1876 became owner of the "MARIA REGINA". Hermann Heinrich (born 1859) died tragically in the sinking of his sailing vessel "HERMANNUS". Wilhelm Jüngerhans (born 1862) bought the punt boat "MARIA REGINA" around 1882 from his father which was lost in 1893 on a journey to the southern Swedish waters. 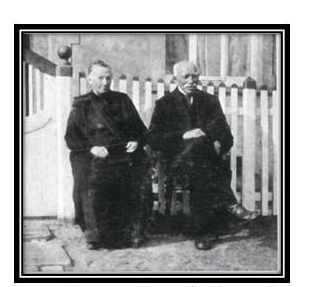 Master Heinrich Jüngerhans (born 1865), however, can be seen as the forefather of today's "Jüngerhans Shipping Group". Master Hermann Heinrich Jüngerhans (born 1806 - son of Joannes Jüngerhans) is considered to be the ancestor and founder of the line of today's seafaring tradition. All his sons were masters. 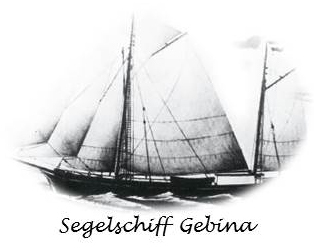 His son Rudolph (born 1853) later became captain and pilot on the Elbe River and was the owner of the sailing vessels "GEBINA" and "VIRGO MARIA". Also Rudolph's older brothers Heinrich Rudolph (born 1836) and Johann Rudolph (born 1834) were masters.